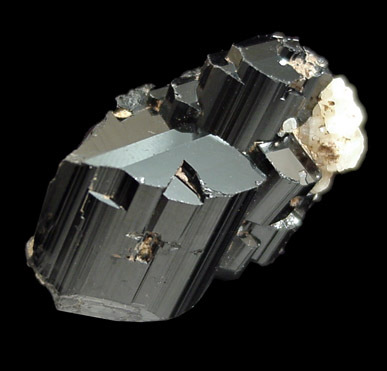 Description: Lustrous black dravite crystals in parallel formation with minor white quartz. 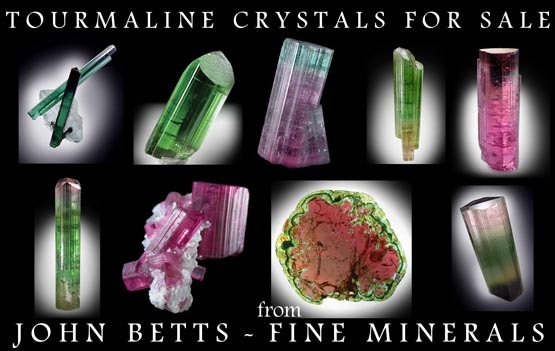 All crystals terminated with shallow pyramidal termination. See Min. Rec. 1-2/91 for analysis and species identification.